This is the third article of a four-part series about the history of timber framing. For those of you currently living in the warm embrace of a timber frame home, we hope you have developed a stronger sense of the bond between your home and its relationship with the past. 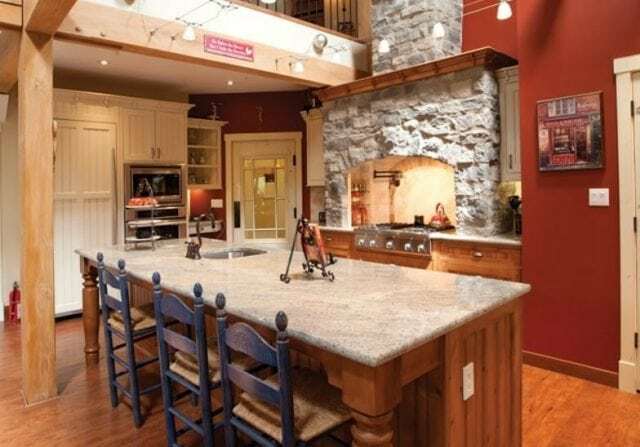 For readers pondering a timber frame home, we hope the inseparability of timber frame tradition and today’s innovation assist you with your consideration. In part one of this series, we wrote about the ancient history, geographic reach, and regional innovations of timber framing. Part two introduced you to some of timber framing’s rich traditions and a few of the theories behind their origins. This third installment in our series, demonstrates that there is more story yet to tell. Because, while European timber frame building experienced a major revival in the last quarter of the 19th century, (sometimes referred to as the Queen Anne revival)[i], and Asian timber framing continued to thrive, North American timber framing met head-on with one of architecture and design’s historical arcs. A few theories have been put forward about when and why timber framing experienced a pause in its adaptation. One idea is that the Industrial Revolution and its subsequent result, the Craftsman style home, better suited homeowners’ needs during that era. Another speculates that the technique was temporarily superseded by balloon frame construction in the early to mid-19th century[ii] and then later by platform framing. And, while both theories (and many others) could be true, (and please note the extreme discrepancy in time between the two opinions), it’s more likely a combination of many factors that brought about the change in timber frame building. 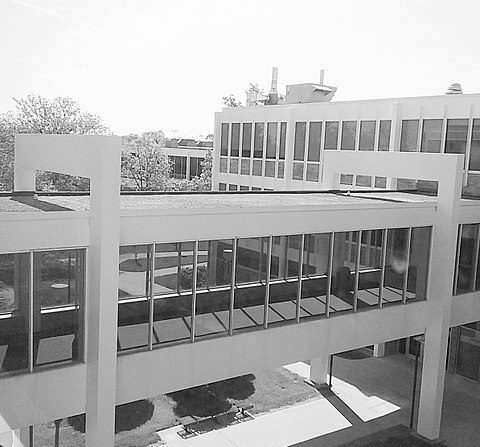 By the 1950’s, however, it could likely be summed up in one word: modernism. It is no secret that the design concept now summed up as “modernism” came about in the mid-20th century. Thus, while Charles and Ray Eames were introducing the world to their playfully simple designs, and Frank Lloyd Wright was stunning the architectural community with his adventurous style, timber framing was patiently biding its time. It is frequently said, “History repeats itself.” In the timber framing world, we know it’s true. By the early 1970’s, a renewed interest in timber framing building methods took hold in North America (The Library of Congress: Reference Specialist, Marilyn Ibach, 2003). There are a number of reasons put forward for this, including the impact of a new generation of home owners with a vastly different cultural outlook than that of their parents. With the instinctive rebellion of every generation before it, and since, the generation known today as Baby Boomers eschewed the sleek architectural lines and clean angles of their elders’ mid-century modernism, starting a new embrace of timber framing that continues today. It’s not a coincidence that Riverbend first hewed a timber in this same decade. Given timber framing’s long tradition of community raisings, it is also possible that the idea of communal labor appealed to this emerging generation of counter-culture enthusiasts. 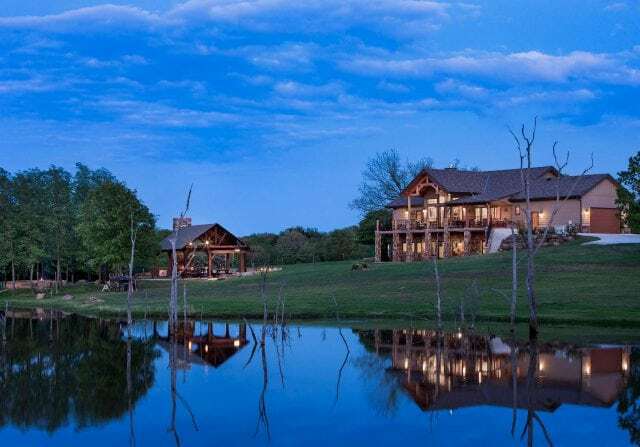 With community raising traditions being a pillar of timber framing’s culture, it only makes sense that Boomers embraced it. Additionally, timber is a natural material. The concept of sustainability was becoming as much a part of the 1970s cultural narrative as it is in the world of today. Or, perhaps, the re-discovery was simpler than any of that. It’s possible it was all about efficiency. Timber frame homes are efficient across a spectrum of metrics. To begin with, they go up faster. A Riverbend home, for example, has a shorter construction time than a stick-built one because we use SIPs (Structural Insulated Panels) to wrap the timbers. These foam-filled panels are custom manufactured for each home’s exact specifications, and then shipped to the build site. 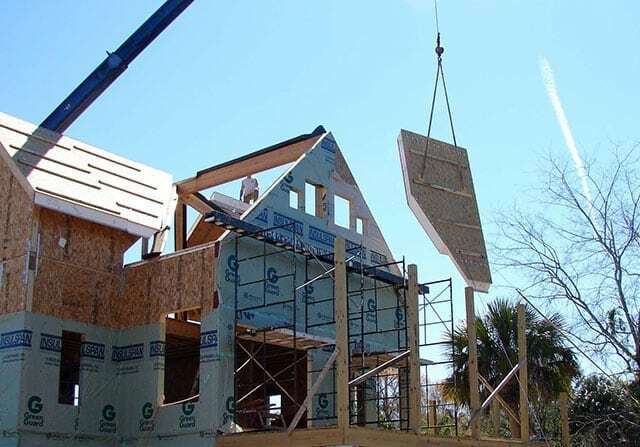 Using SIPs allows walls to go up significantly faster than traditional stick framing. Further, due to the use of SIPs, these homes are extremely energy efficient. According to Canada’s EnerGuide (Government of Canada, 2018) rating system, for example, a score over 80 is considered energy efficient[iii]. Any structure using a score above 85 is designated as a high performance, energy efficient new house. Riverbend clients, Stephen and Johane Lefebvre’s home, shown below) was able to achieve an EnerGuide rating of 86 upon its completion. SIP walls and roof were used in the Lefebvre’s home in addition to ICFs (Insulated Concrete Forms used in foundations). With increased efficiency in construction and energy use, it is certainly possible the “re-discovery” of timber framing building techniques in the 1970s was due more to saving time and energy than anything else. Nevertheless, timber frame came roaring back with a vengeance. And for that, we are forever grateful. Please return to our website in two weeks for the fourth and final installment in our History of Timber Framing series. We’ll be exploring modern innovations and the advancements behind them. You already know there is more to a timber frame than meets the eye. Soon, you’ll know exactly how today’s technology has enhanced every aspect of your home. [i] Queen Anne reigned from 1702–1714. The Queen Anne style in Great Britain typically refers to English Baroque or the aforementioned Queen Anne revival architectural style. Read more about this via the Cambridge Encyclopedia. [ii] The invention of nails, among other factors, allowed balloon framing to populate western North America as highly skilled carpenters, (like those needed for timber framing), were in short supply during that time. Read more here, Robinson, Salon. “How to Build Balloon Frames”. Transactions of the American Institute of the City of New York for the year 1854 no. 144. Albany:C. Van Benthuysen, 1855. 405-408. [iii] The Canadian EnerGuide program changed its rating system to a new scale that measures energy efficiency in gigajoules (GJ) per year. Natural Resources Canada is working with partners during the transition from the previous 1–100 scale. (This older scale is still used by incentive programs in some provinces and territories.) The province of Alberta’s scale is referenced in this article as it applies to the Calgary home.